The world-renowned fashion houses of Milan, Paris and New York have exacting standards when it comes to the raw materials they use to create products. 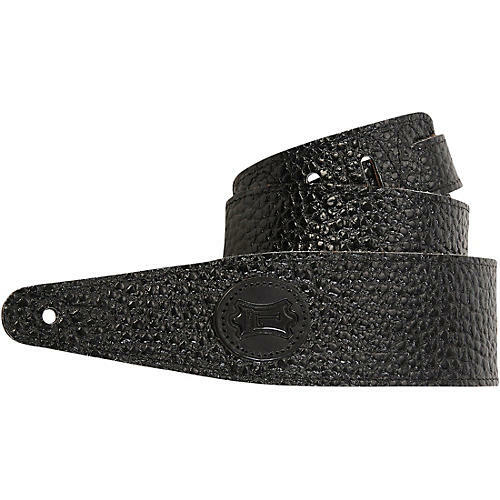 The leather used in this strap comes from one of the tanneries that specializes in providing top-quality leather to these fashion companies. Levy’s is pleased to partner with Guitar Center to offer this exclusive Levy’s Pebbled Veg-Tan Leather Guitar Strap. The top-grain veg-tan leather is slightly pebbled giving it a sumptuous feel and texture unique yet natural. The full suede, neutral backing effortlessly holds to you shoulder and the 2-1/2 in. width makes even the heaviest guitar a pleasure to play. Adjustable from 41 to 55 in.